The Election Commission Friday asserted in the Supreme Court that 21 opposition leaders have been unable to raise any ground for altering the existing system of random counting of the VVPAT slips from one polling booth per assembly segment which was "found to be most suitable" after due studies and tests. EC sought dismissal of their petition seeking that VVPAT slips of at least 50 per cent of voting machines in each assembly constituency be checked randomly in the Lok Sabha elections next month. "Any further increase in the sample size of verification will lead to very negligible gain in the confidence level, which currently is way above 99.9936 per cent," the poll panel said. It said issues raised by them have already been considered, studied and determined and the decision has been taken to conduct the present elections by adopting the prevalent system of counting of VVPAT slips. EC, asked on March 25 by the apex court to give its view on increasing the number of random sample surveys from one booth per assembly segment, said that in the future elections it may consider suggestions for further improving the holding of polls in free and fair manner. "It is submitted that with the imminent elections issues raised in the instant petitions are matters that have already been considered, studied and determined by the Election Commission of India and have since culminated in adopting the course of conduct of the imminent election in a present manner," the EC said in its affidavit. It said the writ petition filed by 21 opposition leaders, led by Andhra Pradesh Chief Minister N Chandrababu Naidu, "does not raise any ground or base for altering the existing system at this juncture and it is accordingly prayed that the present system as decided to be adopted for the imminent elections be continued with and the petition dismissed. " The poll panel maintained that it is always open to bringing about any improvements that would further the cause of free and fair elections,. "In so far as the grievances and reliefs prayed for in the instant writ petitions are concerned, these are all matters to which the Election Commission of India has applied itself, and after due studies and tests has arrived at the conclusion that the method as presently adopted has been found to be most suitable," the affidavit said. The poll panel said If at all with regard to future elections, any other suggestions that have not been considered are brought up, it would immediately look into the same in order to consider their efficacy and utility to the ultimate objective of conducting free and fair polls. The affidavit said that the 21 opposition leaders have not disclose "even one specific instance for this Court to come to a conclusion that the existing system would in any manner adversely influence the free and fair elections." Further, the poll panel said the petition by them does not raise any new or different apprehension or grievance as was raised in the earlier cases, nor brings out any grave or serious reason requiring a revamping of the system that has been adopted for the purpose of the conduct of the 2019 elections. "It is further submitted that when the polls are imminent and polling is to commence from April 11, 2019, to now seek to alter the system adopted by the Election Commission of India at this stage might not be feasible," the affidavit said. In addition, the poll panel, which opposed the petition of 21 opposition leaders, said 50 per cent VVPAT slip verification in each assembly segment of a Parliamentary Constituency or Assembly Constituency on an average shall enlarge the time required for counting to about six days. "It is also relevant to mention that in many Assembly Constituencies, there are more than 400 polling stations, which will require about 8-9 days to complete the VVPAT slip count. 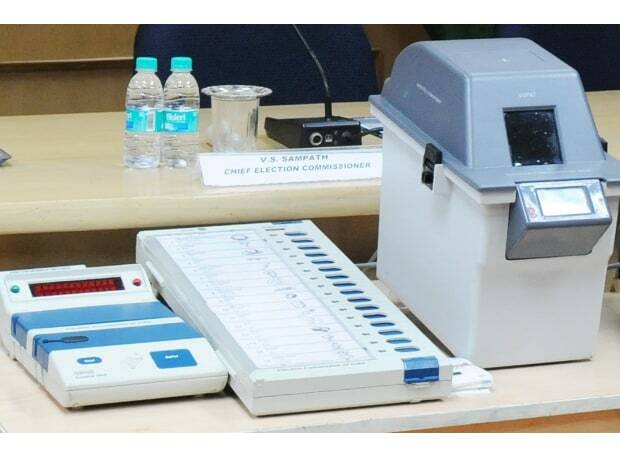 It is pertinent to mention that demands for re-count that routinely arise of the VVPAT slips themselves, which will compound the time requirement," the affidavit said. It further said that increased VVPAT slip counting will require extensive training and capacity building of election officials in the field and substantial increase of such officials will be required for deployment in the field.